Cupolas in GFRC offer aesthetic appeal for your church or cathedral. A major consideration for your cupola is how much it will weigh and how it will be supported; glass fiber reinforced concrete (GFRC) is your best choice. A very lightweight product, it has a synthesis of form and structure and will be fundamental to the image your place of worship. Stromberg can help you decide the best purpose for your GFRC cupola; whether it will be best suited as a lookout, a lantern, for ventilation or simply ornamentation. Stromberg’s experts will know how to implement height and code restrictions so that your cupola is exactly as it needs to be. You won’t get a prefabricated cupola from Stromberg; you’ll get one that’s made to fit the likeness of your church or cathedral and is beautiful to look at. Stromberg uses molds to create the exact idea you have in mind. GFRC is a lightweight material and so lends itself perfectly as a material for your cupola; it is also a weather resistant material that can stand up to high winds and moisture. Stromberg designers and architects make it their goal to achieve the desired effect on your GFRC cupola project. 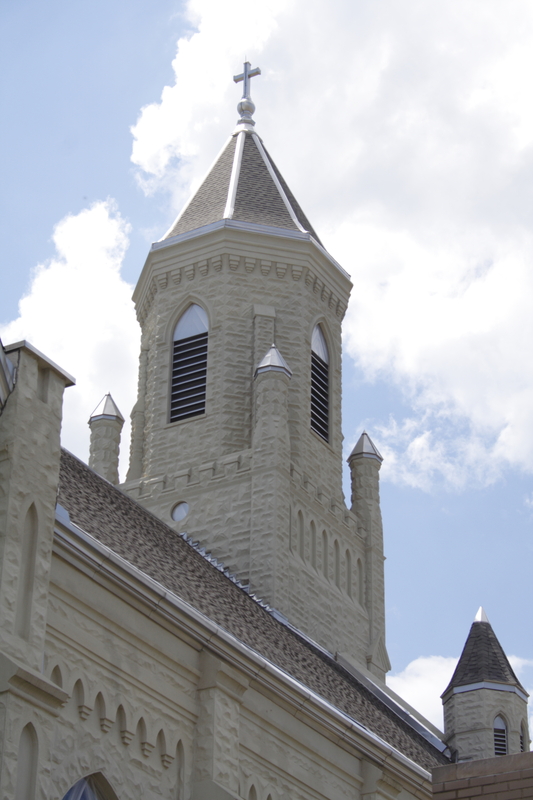 They’ll customize your cupola into a blend of form and structure that will add just the right touch to your church or cathedral. GFRC is a very cost-effective material that can be molded into an array of shapes and designs not possible with heavier materials. The installation of your cupola is quick and easy and you’ll save on shipping costs due to the lighter weight of this product. GFRC is light weight compared to stone or terra cotta; installation is quick and easy. GFRC can be cast into virtually any shape or custom design of your choice. Glass fiber reinforced concrete is made of minerals; it won’t burn and is an earth-friendly product. GFRC has been proven to have enough strength to stand up to seismic loads and hurricane force winds. The professionals at Stromberg Architectural Products will work with you to find the perfect solutions for your GFRC cupola project. Stromberg is here to help with CAD details, design assistance and all specifications. Contact them today at (903) 454-0904 for your free custom quote, or email them.